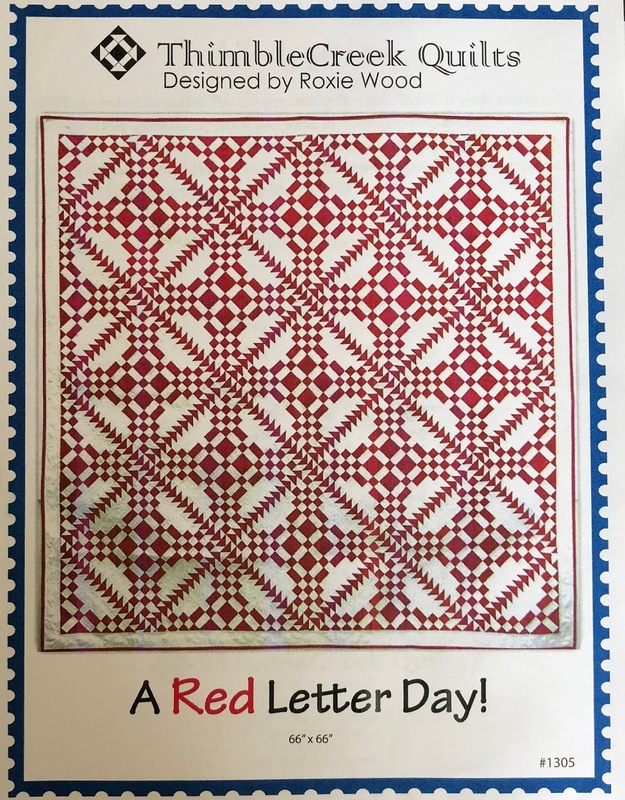 Another Red and White Quilt for my collection, my 12th. 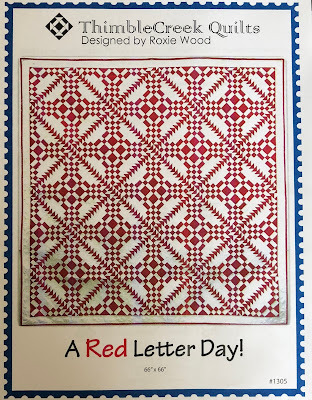 I use red in a lot of my quilts, but "only" 12 have just red and white/cream fabric. The red fabric is 9900-16 Christmas Red and the white fabric is 9900-98 White Bleached, both Moda Bella Solids. The pattern uses black binding but I'm thinking of sticking with the red. I found the pattern in this book by Missouri Star Quilt Co. 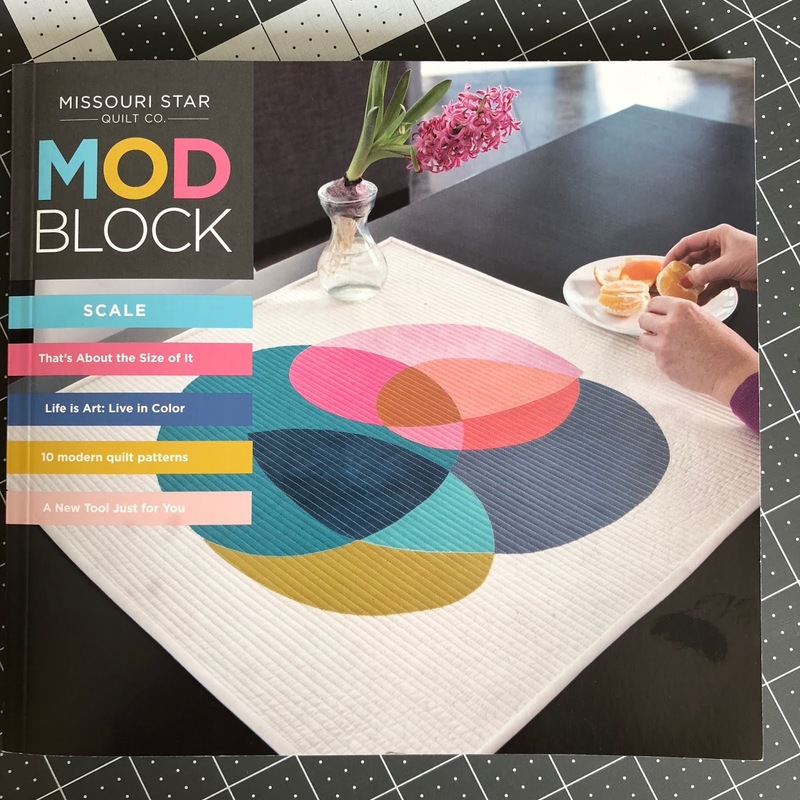 It's Mod Block Volume #4. I love these little Missiouri Star books, they run around $6 each and provide more than just quilt patterns. Check them out if they are new to you, they offer a wide assortment of styles and themes and information worth more than their $6 price. It took one afternoon to piece the blocks and another afternoon to sew them together. Not much effort for a quilt with a lot of pizzazz. I think it's a nice addition to my red and white quilt collection. I enjoyed working with the red and white fabric so much I may piece another one. This quilt has been on my to do list for ages, maybe this is the summer I get it done. 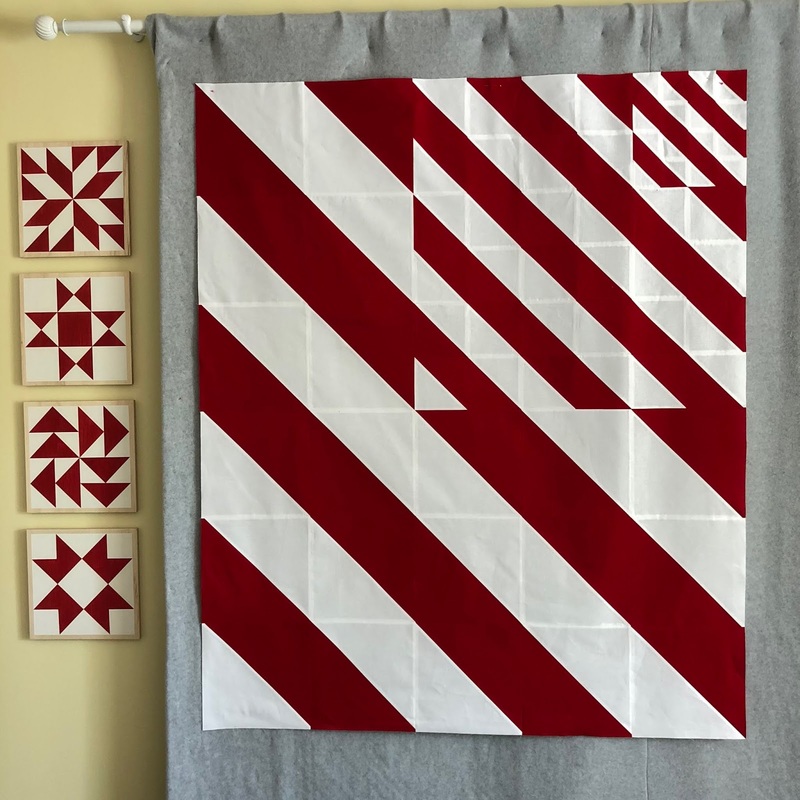 Something so nice about a two color quilt and this one is quite unique ….there is a quietness about it. Love it! Oh, my goodness, it’s awesome!